Shop Now: The Apply Hypnosis cetner. You Are Confident... You feel the pressure. The person in front of you is nodding their head along with you thinking that you just have friendly things to say. To the startled eyes of your friends you told earlier, you grin casually, say a few words, and the	person	does	what you secretly command. Learn Our Most Popular SECRET NLP Techniques! In high school, I was skinny, nerdy geek who stuttered when I talked, was shadowing a big brother who was athletic and popular (while I remained his "cute little brother" to everyone else), and because of the pity girls had no interest in me either. So I did what anyone else would do in my situation and started to read about how to win more friends and become more socially "accepted" because the loneliness kept me silently frustrated trying to "fit in". Then, I came across a weird topic called "Neuro Linguistic Programming" in the book store one day and it talked about how we think, the way words affected psychology, and hypnotic language patterns. After about week of practicing what I had learned, I started to gain more and more control over conversations. Girls began to fall for me in a big way (even if we only spoke for a few minutes). What they didn't know was that the "way" I was talking had secretly hypnotized them to feel magnetically (and sexually) attracted to me -- and they had no clue what I was up to. When I was out of high school I landed a job as a vacuum cleaner salesman and sold them like crazy! My boss was so impressed with my ability to walk into people's homes and get them to say "yes" to buy that he offered me the keys to the district office after a month and a half and put me in charge to train the others to do what I had been doing to sell so well. After a few years of practicing NLP and covert hypnosis, I had been writing down what I was learning and how it had been working -- a "journal" if you will. Everything from your frame of mind, how words affect others, rapport, body language dynamics, psychological devices, persuasion framework(s), NLP language patterns, and more. One day, I was having a discussion with some co-workers about hypnosis and NLP because they couldn't figure out why I was so good at selling (by this time I was a web-master for a motorcycle dealership and selling parts, apparel, and accessories on the internet) and one of them said "dude, you should write a book about it and sell it." I said "It's funny you say that because I've been recording down what was working for me in a book already"	and	gave everyone who wanted one a copy of it. After a few weeks, I noticed that they were all changing and talking differently. I witnessed success stories about them "getting girls" -- ones that were allegedly "hard to get" and competing over who could sell more in the workplace. Soon, I started "Apply Hypnosis" and began to sell these copes of my book "How To Hypnotize Anyone Without Getting Caught" on the internet. Within a few months later, I quit my job as the book took off and became very popular online. People from salesman, teachers, public speakers, copywriters, "Don Juan's", and more were all using the secrets contained in my book to achieve incredible breakthroughs in the way they communicated with others. Since then, I've spoken on stage, held memberships, live events, seminars, and workshops about it. -- AND ... it's been my "secret weapon" in business, relationships, and more. 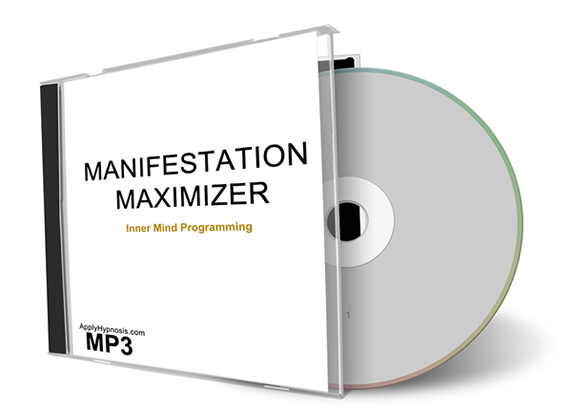 If you want to become powerful, attractive, desired, good at persuading others and learn how to subconsciously influence people without them knowing, click	here	to	learn more about "How To Hypnotize Anyone Without Getting Caught". It Starts Between Your Ears. You will NEVER learn this in school or in the media hoaxed "fabricated" world... You're taught to measure your success based on your performance instead of building massive knowledge to become free from mental slavery and become a self-leader. Awaken The Creative Genius Within!!! To make sure you get even more success faster and easier than ever before in your life and business, I’d like to give you 9 videos of my most powerful success-getting strategy that teaches you a new way to think. You Get A Special System That Was Taught To Me By A Multi-Millionaire Combined With Knowledge Of Over 375 Books That Cuts To The Good Stuff And Shows You How To Quickly Solve Your Problems, Improve Your Memory, And Get A Lot More Done In Less Time, Right Away! Do you feel out of sorts? Overwhelmed? Worried about your future? Lack motivation? Feel frustrated because things just haven’t turned out the way you wish things could be as you dream about having a better life? Most importantly… Do you feel like “something” is missing that prevents you from being genuinely happy? Like, there is something the elite is hiding from you? Do you want to learn to think like a genius? Become more creative? Improve your memory so you can create unstoppable success no matter what you decide to do and really know the secret to generating growing happiness in every area of your life? How to create an unstoppable “Domino Effect” that drives you into success so you can quickly solve your problems, eliminate your stress and overwhelm, and even build wealth quickly while others wonder what your secret is! A new way to think that was robbed from you by the age of 7 years old (and find out how to “reactivate” your genius brain so you can unlock new abilities and the full potential of your mind). Make no mistake, this theft was done to you through the media and music ON PURPOSE so you would learn to think the wrong way as an adult! How to gain back your true power that they stole from you so you can out-compete others and win no matter what! How to apply a simple strategy that turns any vision you have into a living reality for you, your family, and your career or business so you can acquire massive wealth, cars, homes, toys, vacations, and the finest medical, dental, and nutrition. How to stop wishing and start having so you can take control of everything you set your mind to and see it all the way through to the successful end result! How to profit from your gifts, talents, and authentic personality so you can enjoy being you while building tremendous wealth and value for others they’ll appreciate. How to get over procrastination and seize the moment RIGHT NOW by finding your groove so you can quickly and easily get more organized and get the most out of your time each day. Create an enormous shift in the way you think… and how you can apply your newfound genius ability artistically, scientifically, and in business. That means no matter what, you will become the best you can be! ...Plus a ton more tips, tricks, and techniques that are crucial for every adult to learn. Think In A New Way So You Can Bring In More Money, Better Relationships, Improve Your Health, And Be Happy! To find out how you can start using your ability to think like a genius to skyrocket your ability to accomplish and to achieve success in anything you decide to do, I highly recommend that you go to this page here. Learn The Tricks Of The Trade!!! Do you know the secrets to dramatically improve sales for your business -- beyond anything you could have ever imagined? If you guessed "storytelling", you're absolutely right. Some of the most successful businesses in the world get this right. Most do not. The first time I had ever used storytelling in my sales presentation I couldn't believe how many people responded compared to my "other" sales strategies (that were already making me several thousands in sales per week, I might add). Not only did I make a TON more sales than I could have ever expected, but a lot more people were posting comments, sharing my content, and giving me all the social proof I needed. Since then, I started to "decode" the master speakers and big business giants -- the "real" movers and shakers and reverse engineered what they were doing and how they were so effective in getting response and results ...how they were talking, what psychological sequences they were using, and why they were so popular, loved and admired. By the time I was done, I had unlocked the mystery behind the hidden framework to hypnotic storytelling, complied it into an easy to read, power packed e-manual that gets to the point and shows you, step-by-step, how the real pro speakers, authors, and gurus influence audiences using stories. IMPORTANT: Stories are critical to your next business breakthrough. If you miss any of these storytelling techniques or fail to use them in your business, you'll never reach the high-status of an expert and you can kiss your sales goodbye. What's more is if you do it wrong, then it could ruin you and your business, reputation, and more. . It's proven. We've tested this. A LOT. Click here to find out how to do hypnotic NLP storytelling right. I mean it. No HYPE. No B.S.... Quit stepping over hurdles and become a MASTER HYPNOTIST. -- DO IT WITHOUT... Complicated terminology. Learn REAL Hypnosis That Works!!! Whether you're new to or consider yourself well versed, these advanced high-level techniques of hypnosis will boost your ability to hypnotize anyone, anyplace, anytime. No doubt, you want to present yourself as professionally as possible as a hypnotist and have the best-scripts available because one of the most important things you can do as a hypnotist is have positive "word of mouth" advertising because that means "you" as a hypnotist gets results. When I expanded my business practice as a hypnotist, I did clinical hypnosis and also into doing stage and street performances. Before this happened, I was nervous about doing any sort of clinical hypnosis practice because I didn't have enough confidence in my ability to help people make the changes they were looking for. Were they going to take me seriously? What happens if they don't get the results they're looking for? What will they think of me then? What would they tell everyone else? Furthermore, I always wanted to do shows and performances because they are fun and entertaining but I felt pressured because I'd look like a fool in front of everyone if I failed to hypnotize anyone. So what I decided to do was to take more training. I decided that if I was going to do this, I was going to do it right, and the only way that was going to happen would be if I copied the real masters of hypnosis. After several months, I began to notice common denominators and similarities in all the training I had taken. Little by little, point-by-point, I managed to piece together a perfect method to do in my own business practice. One thing I realized, however, is that most of these hypnotists -- unless already having a building in vegas, were TERRIBLE marketers. Fortunately, I had already been successful in marketing, sales copy, and sales in general so I put together my own unique approach to building a successful hypnosis business. Everything from what to say the moment you meet people, all the way to the very end. I quickly figured out what has to happen when they walk through your door, how to select the right subjects during your live events, and how to rapidly put poeple into hypnosis -- even if you met them just seconds ago and have no idea who you are. The result was that I had managed to dramatically "up" the cost of my services. Other hypnotists were unable to figure out how I was able to charge $500, $1,500, even $5,000 or more to see me as a hypnotist. Well, until today, I never revealed what I was doing -- including a very special interview technique that changes your subject before ever entering "official" hypnosis. Click here to get instant access to the exact system I was using that had earned me several hundreds of thousands of dollars per year. All you have to do is listen to this audio 9 minutes per day, 3 times per week!